We hope the resources will help jumpstart your planning and give you new ideas for this season. Take the Online Advent Quiz: (Download), print and share the Advent Quiz with your church, family & friends! Christmas Gifts That Won't Break: A Children's Advent Study by James W. Moore. Coloring Through Advent: A creative way to prepare your heart for Christmas. Blue Christmas/Longest Night Service: A unique service designed to minister to those who mourn during the holiday season. This service can be used as an outreach tool in your community as well. 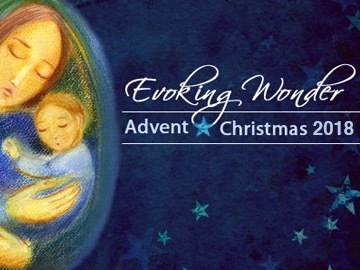 Cokesbury Advent Studies: Looking for a study for a small group, congregation or yourself? Find a good selection at Cokesbury. For more resources, visit Discipleship Ministries. Ideas to reach into your community and embody the very thing we celebrate: God's love coming in human form as Jesus Christ is born! Giving Tuesday: November 27, 2018 - People know about Black Friday and Cyber Monday, we want them to know about Giving Tuesday, too! This global day of giving is fueled by the power of social media. Find ways to kick off this charitable season by giving to your favorite mission organization. Christmas Is Not Your Birthday: Mike Slaughter's Bible Study on experiencing the joy of living and giving like Jesus. While there’s debate about whether services on Christmas Eve or Easter Sunday draw the larger attendance, it is clear that Christmas Eve attracts more unchurched guests. Invite Your Community This Christmas: Get all the resources you need this Christmas, including direct mail, banners, and invites. For additional Outreach & Witness resources, visit United Methodist Communications. For more Advocacy resources, visit Church & Society and Discipleship Ministries.